Seacrest Beach Casa Blanca 4 bedroom main house & 5 if carriage house booked + PRIVATE POOL + FREE BIKES! 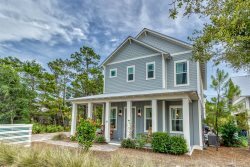 South Side 30A Luxury Seacrest Beach Vacation Rental in Exclusive High Pointe Resort + FREE BIKES! 'The White House' 30A Seacrest Beach Vacation Rental House on Lagoon Pool + FREE BIKES!